American Sales & Service, Inc. offers four automated wash systems providing various levels of flexibility, function, and features. All of our automated wash systems are constructed with superior quality and affordability in mind. Wash water pumps, stainless steel frames, precise chemical pumps, and belt-drive spinners insure that each of our systems can handle your cleaning needs. The ultimate wash system, combining the best of touch-free and brush gantry cleaning for a fully automated process able to make adjustments for a variety of vehicles without the need for an attendant. Total stainless steel construction with high performance brushes and motor-driven bronze spinners allow the ultimate wash system to tackle your most demanding cleaning needs. Touch-free systems able to handle a variety of vehicles without the need for attendants. The computerized system automatically makes adjustments for individual trucks or entire fleets, regular or irregular in shape. 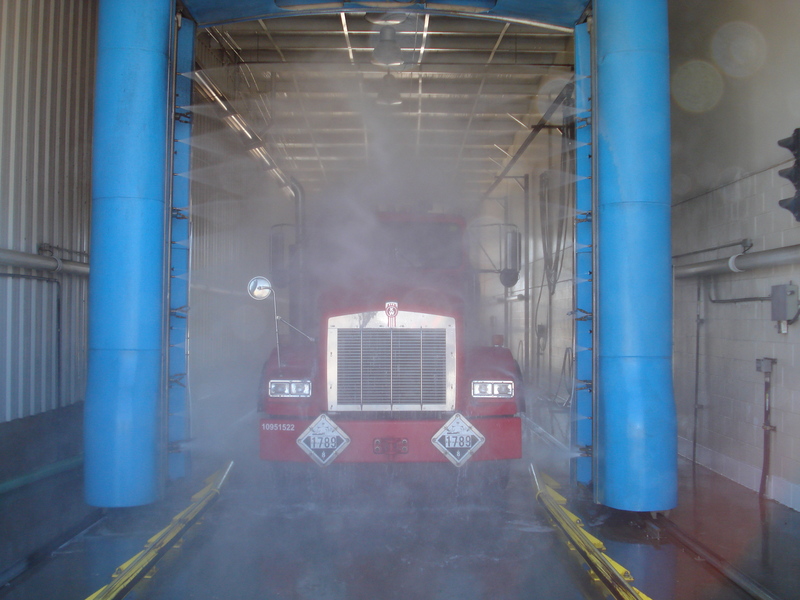 Drive-thru systems are a combination of high pressure spraying and brushes – ideal for large fleets where 10 or more trucks per hour must be handled. 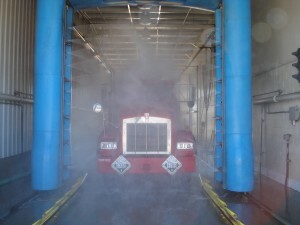 These stationary systems are able to clean a single truck in less than two minutes. 3 brush gantry systems, ideal for uniform fleets. This gantry is affordable and quick. No attendants are required for fleets of uniform vehicles, and with a single attendant it can handle a variety of vehicle shapes.